Probate is something that many people have heard of, but frequently don’t understand. Simply put, probate is the court-supervised process of distributing a decedent’s property to the proper beneficiaries. Probate also ensures that any outstanding obligations of the decedent, such as taxes or debts, are satisfied. Acting as the personal representative for an estate can be an overwhelming experience, especially when dealing with the stress of losing a loved one. I can provide you with as much or as little assistance as you need so that you can settle the decedent’s estate quickly and efficiently. 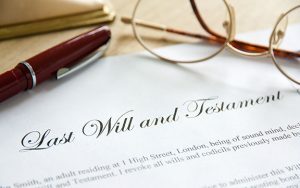 I can review the decedent’s will or trust and advise you as to what needs to be done next, and I can also assist you in identifying heirs, providing legal notice to creditors, and satisfying any obligations of the decedent or their estate. An experienced probate lawyer can also be of great help when there is disagreement amongst the heirs, a situation which may require the court to take a more active role in the process. When dealing with the loss of a loved one, probate is the last thing on your mind. Let me help you through it so you can focus on what is truly important. What are the benefits of using an attorney from a Probate and Trust Administration Law Firm? Help guide you and your family through the legal process when a loved one dies. Help to resolve disputes between heirs that arise in administering the estate. Ensure that inherited property and funds are properly transferred to the intended beneficiaries. A good probate lawyer's advice will help achieve this when emotions are often running high.